The Sony Ericsson Vivaz, Sony Ericsson's answer to Samsung i8910 HD, is already available on Vodafone. In case you forgot, the Sony Ericsson Vivaz runs on Symbian S60, has a 3.2 inch resistive touchscreen, 3.5mm headset jack, 8.1 megapixel camera, 720p video recording, and GPS among others. And if you can't score yourself a cheaper Samsung i8910 HD on Orange or a used or unlocked one and you REALLY want 720p video recording on your phone, then prepare to fork up £30 a month for 24 months to get this for free. 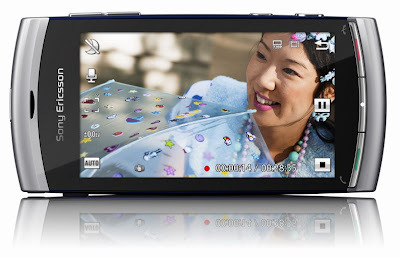 Those who don't want to be tied down to a contract, you can always get the Sony Ericsson Vivaz Unlocked at Amazon UK. For those who already got this, leave a comment and share with us what you think of the phone. where can I buy this without a contract? Carphone warehouse sells this with a contract but I think their phones come unlocked. You can probably get one on eBay and amazon also sells it unlocked and without contract.